Something strange happens to Britons at this time of the year. For fifty weeks of the year the sport of choice for most people is football, but then for two weeks in June and July the whole country goes tennis mad. Thousands of tons of strawberries get eaten and thousands of gallons of Pimms gets drunk – a drink that languishes in the back of the cupboard for the rest of the year. For the first few days of each Wimbledon fortnight, the whole country roots for the British players in the tournament. Against all expectation, everyone is hoping that a miracle will happen and a Briton will manage to achieve a feat not seen in over 30 years: the ultimate accolade, to win Wimbledon. Then Henman reality steps in, and by the end of the first week we're usually left bemoaning the state of British tennis and our British hopefuls go from hero to loser as quickly as it takes a tennis ball to stop bouncing. 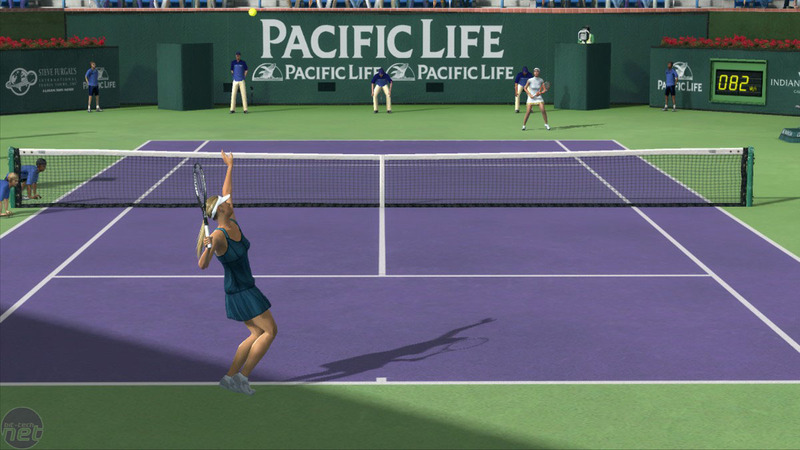 It's amongst this fervour of tennis fever that 2K Sports and French developer PAM Development, the creators of the original Top Spin game have launched the latest iteration in the Top Spin series – the imaginatively titled Top Spin 3. Now, I must make a confession here. I was never very good at tennis back when I was a wee nipper. Granted, I was never as bad as my wife, who managed to knock her gym teacher out with a tennis ball...from three courts away. I was always told by my gym teachers that I had "badminton wrists", which I always felt was some kind of thinly veiled euphemism for being wimpy. So, imagine my trepidation when Top Spin 3 arrived on my desk for reviewing. 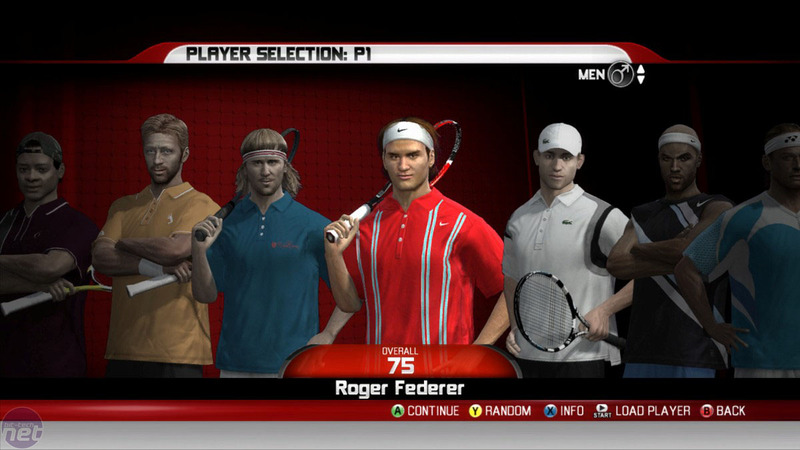 Would my badminton wrists still hamper me even when playing a console version of tennis? Would I rise up the tennis ranks like a Russian teenager or would I play like most British players and fail to get beyond the first round? For the third instalment of the Top Spin series, developer PAM has completely revamped the control system – so fans will have to spend the first part of the game forgetting everything they learned in the previous two titles. The new control system is based more around precise timing and positioning: rather than the hit and hope controls of previous games, the controls have been refined so that Top Spin 3 becomes more a game of skill than chance. The basic premise is fairly simple: hold down one of the buttons, depending on which shot you want to take (forehand, backhand or safe shot), move to the right place on the court and release the button. The longer you hold the button down, the more power your shot has. It’s tricky though. Keep the button pressed too long and you'll miss the ball completely. Release the button too early and you'll hit a less powerful shot. One major point is that there is no on-screen power meter to help you: you'll be relying on skill and practice, just like a real tennis player would. Where the skill comes in though is with the timing and when you first pick up the game, you'll miss more shots than you'll hit. Thankfully, there’s a good range of tutorials that introduce the basics of the game as well as more advanced techniques. As with Top Spin 2, there is also the inclusion of more riskier shots – hold down one trigger to increase spin and another to increase power. However, they need to be used with precision timing and are extremely difficult to master properly. I tried, failed dismally, and carried on playing the rest of the game without trying them again. EA Sports has announced it will bundle peripherals with future games, though platforms and games are still unannounced. Miyamoto: "Wii Fit is a video game"